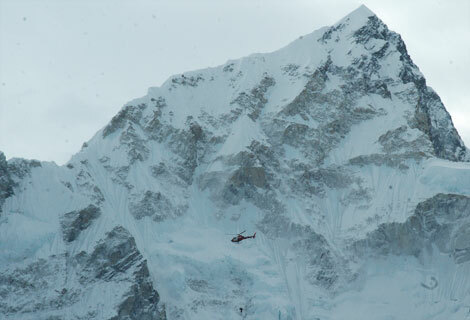 Manaslu descent proves fatal for an expedition team! – Summit Helicopters Pvt. Ltd.
Manaslu descent proves fatal for an expedition team! Fate can work wonders, who knew when they started with their Expedition on the 28th of March to Mt. Manaslu that they would face such a day. 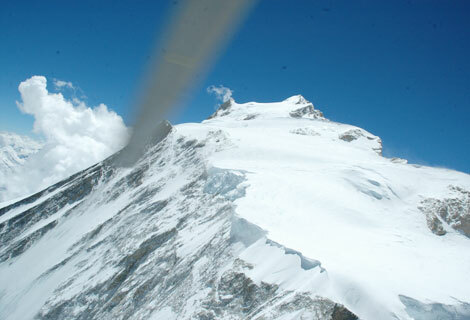 Three French Mountain Climbers and two Sherpa had a successful ascent to the summit of Mt Manaslu (8163m). They lost each other during their descent due to weather reasons a few days ago. Fishtail Air undertook the responsibility of the mission and early this morning as soon as the weather was clear, two of our fleet AS350B3 and the B2, AJI and AIW respectively equipped for a Sling operation commanded by Captain Siddartha Gurung, Captain Ashish Sherchan and Captain Gerold Biner (Air Zermatt) along with our rescue technicians Tshering Pande Bhote and Bruno took off from Kathmandu. Tshering, who has summited Mt. Everest numerous times, had been trained at Air Zermatt, Switzerland for Sling Rescue operation last year. Our team flew up to Manaslu region and found one Sherpa (Mingma Gyalje Sherpa) and one French of the expedition team of 5 at 5900m between Camp I and Camp II. The rescue was carried out by Sling operation. 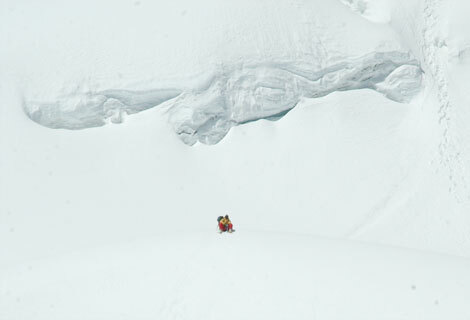 Our team is going back to the Manaslu region again tomorrow to search for the missing two French climbers and a Sherpa. Previously on the 5th of May Fishtail Air recovered the long lost body of Mr. Park Haeng Su from Manaslu Camp II. Mt. Manaslu (8,163m / 26,781ft) is situated in the central region of Nepal in the Gorkha massif is the eighth highest mountain in the world. Japanese were the first to climb Manaslu Mountain in 1956. There was a South Korean attempt in 1971 and in April 1972 an avalanche that killed five climbers and 10 Sherpas.